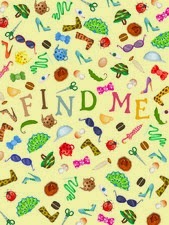 I am impressed with your words "children with love interacting with Find Me". This is the way any children's Book Author want to hear from the little readers. I have checked your books collection and like to know more about them in deep. I'll definitely read one by one as i get a little time. Thanks for your comment! Children's books are one of my favorite genres!